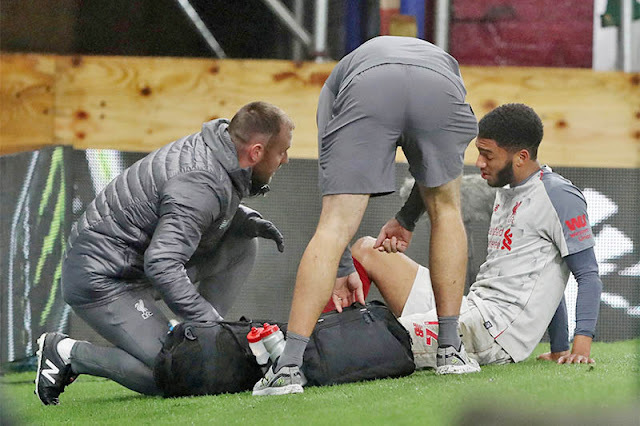 Liverpool’s Joe Gomez receives medical attention after sustaining an injury. LONDON: Liverpool defender Joe Gomez will undergo surgery on the lower leg fracture he sustained against Burnley in December, the Premier League club said on Monday. The 21-year-old has not played since he was taken off after 23 minutes following a challenge from Burnley defender Ben Mee. Gomez was initially ruled out for up to six weeks and is expected to feature again this season but Liverpool have put no timescale on his return. “It’s a blow for the boy and for us – because prior to the injury he was in such fantastic shape,” Liverpool manager Juergen Klopp told the club’s website. Gomez, who began the season as Klopp’s first choice to partner Virgil van Dijk at the heart of the Liverpool defence, has made 18 appearances in all competitions.